Change requests, permission levels, and slow processes: that’s what comes to mind for most people when you ask them about identity management. Identity management interfaces and tools are an altogether different story. Picture this: a manager wants to change the identity and access management profile for an employee who moves to a new job. She logs into the identity system. Immediately, she’s faced with a long list of abbreviations and jargon. Which of these systems should be removed? Which does the employee need to keep in the new position? The last time she made a change like this was a year ago. It takes a while to decipher all the options, write a status update in the system, and submit the change. Before long, half an hour or longer has disappeared. The emergence of sales and marketing chatbot services such as Drift.com shows a different way. Users are comfortable with entering requests to get help. They no longer feel the need to send in emails or call a service desk. A few quick messages back and forth with a chatbot is all they need. It’s a seamless and fast experience. That’s what a world without traditional interfaces looks like. You might be wondering whether this trend is limited to sales and marketing applications. Yes, those are the best-known cases, but it’s already spreading to other areas. How Many Organizations Are Using Chatbot Technology? This movement toward chatbots and traditional interfaces started to take off a few years ago. In customer service, chatbots are quickly becoming more common. Gartner, a leading technology analyst firm, predicts, “25% of customer service and support operations will integrate virtual customer assistant (VCA) or chatbot technology across engagement channels by 2020.” In 2017, adoption was less than 5% of organizations, so organizations that adopt now will still be leaders. Chatbots have already started to generate tremendous results for early adopters. Hipmunk, a travel booking service, uses a Facebook messenger chatbot to attract more prospects. By using maps and the user’s current location, this type of chatbot provides a personalized and productive user experience. As one of the few travel services to offer chatbots, Hipmunk also stands out by providing a better user experience. 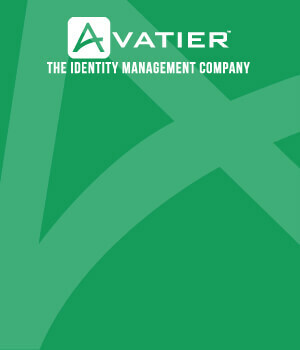 How Does a World Without Interfaces Make Identity Management Better? Some of you may be excited by the potential of new technology, while others just want to know how or if it’ll make their daily life better. Some of you in the IT operations world may be skeptical. Everything you’ve seen or heard about chatbot relates to sales, marketing, or customer service, so you wonder if this technology is relevant to the demanding world of IT. The answer is a resounding yes! Chatbots improve identity management in two ways. First, you save time on completing this critical IT security task. Second, you increase the completeness of your identity management system. In the old school approach to identity management, there are many steps to the workflow. You have to ask your manager for an identity change. She has to review the request to see if it aligns with company policy. Then, she has to provide approval. Finally, she has to track the approval request. With chatbots, employees can enter their request through a quick message and have it taken care of in minutes. The backend tasks, including compliance and recordkeeping, are all handled automatically by the system. 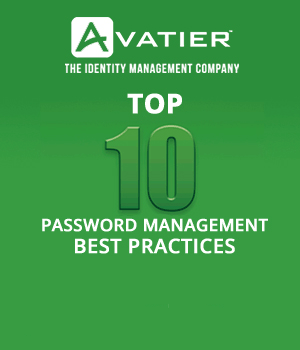 Most IT managers won’t tell you the embarrassing secret about their access and identity management systems. Many corporate systems and applications aren’t covered by identity management tools and processes, which means increased security risks. The most common explanation for this gap is that setting up and maintaining identity management is too complicated. With chatbots, ongoing maintenance is much cheaper, and it’s faster, too. Therefore, you can steadily increase the completeness of your identity management process without adding more staff. What Else Do You Need to Succeed in the Next Chapter of Identity Management?